This hotel in Huntsville allows you to quickly get your head in the clouds at the Marshall Space Flight Center, and plant your feet firmly on the ground at nearby Hampton Cove golf courses. Whether you're there for a lift-off or a tee-off, the friendly team at the Hampton Inn & Suites Huntsville Hampton Cove is ready to help you countdown to a visit that's way above par. 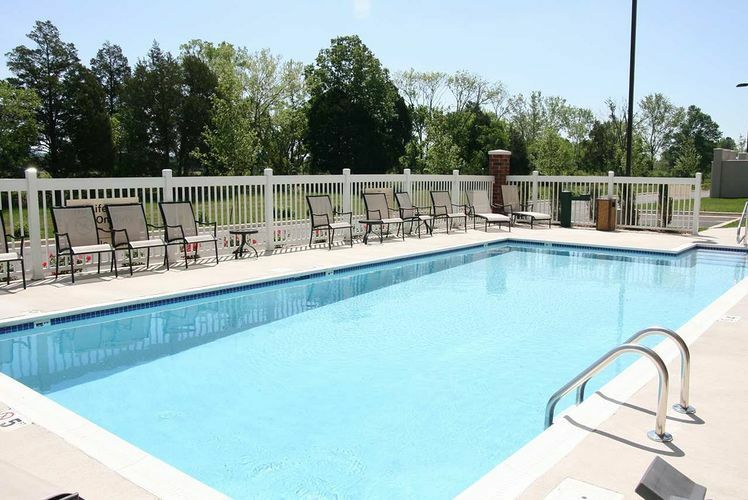 Once you've arrived, you'll find a lot of great amenities waiting for you such as complimentary hot breakfast, "The Clean & Fresh Hampton Bed", free high-speed internet access in every guest room and sparkling outdoor pool.